Welcome to the Help Site. Here you can find our FAQs - answers to some common questions about the game. 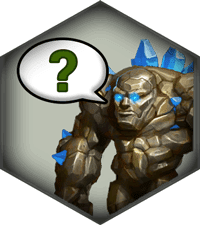 For other general questions, please check out our Wiki, the help section in the Forum or ask for help from other players and from our forum team. If you are unable to find answers there, then please contact our Support. What is Neighborly Help? When can I help my neighbors? How can I get the maximum Culture Bonus? I don’t want Elvenar to play any music. Is there a way to turn the music off? How will the population in my city increase? How do I move or sell a building? Why do I need Relics? How can I interact with other players? In order to be a fun and fair experience for everyone, a game needs to have some rules and regulations. 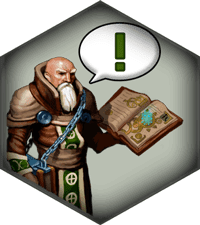 You should read our set of rules carefully and observe them at all times to become a law-abiding citizen of Elvenar and stay out of trouble. Diamonds are the premium currency of Elvenar. You do not need to purchase Diamonds in order to play the game. However, Diamonds generally give certain benefits that speed up your progression. They can be bought with real money. You can only help neighbors you have discovered on the map. This will automatically happen once you have scouted a Province next to their city. When you visit them, activate the help function and either click on their Main Hall which will then produce some coins, click on the Builders' Hut to make their builders work faster, or click on a cultural building to increase its culture output for a while. You can help your neighbors once every day. Yes, we are gathering and listening to feedback during our closed beta and beyond while constantly working on new content. So stay tuned, Elvenar will be updated regularly, new content will be added over time and any bugs we can find will be fixed. Our advice: Keep a balance of where your Culture Bonus comes from. Try to reach the first or second bonus step on your own by building enough Cultural Buildings. Your neighbors can then polish your Cultural Buildings to increase the culture output temporarily to reach the third or even the maximum bonus step. It won’t do your town any good to build too many Cultural Buildings, so you should help to establish a neighborhood where everyone helps his neighbors rather than trying to get the maximum bonus on your own. The ancient Elvenar will not be pleased to hear this, but your wish is their command. You can tell them to stop singing by accessing the game settings menu from the bottom right of your screen. Simply click on the “gear wheel” and then on the icon showing a musical note. You can also turn off the game sounds from the settings menu. The number of citizens increases when you place or upgrade residential buildings. Most of the time upgrading will be easier than finding a new spot for another building, so it is recommended you look for possible upgrades first. Make sure you produce a lot of Goods whose production you can boost. Use your Trader to exchange those surplus Goods for Goods from other players. If the market is currently a bit empty, you can use the Wholesaler within your Trader building to supply yourself with the bare necessities. Of course, you can also always build a Manufactory that produces the Goods you need, but that is not your best option since it takes a long time and requires space in your city you could use for other buildings. You have two specific, small buttons at the bottom of your screen for these actions. The left one showing a dollar symbol is for selling, and the right one with the arrow symbol is for moving buildings. Also, your mouse cursor will change according to the chosen action. You have to confirm your choice when selling a building, so don’t worry about accidental selling. Moving your buildings around is free and easy, if there is enough space available. Relics inherit an ancient power which is said to hold the key to the secrets of Elvenar. Their origin and purpose is, to this day, still shrouded in mystery. However, scientists found out that Relics can be used to boost the productivity of certain Manufactories, helping you to be more efficient in that area. It’s certain that more mysteries about Relics will be uncovered soon, so keep collecting them! To be able to interact with another player, besides writing messages, you need to first find the place where he lives by scouting the surrounding area. Once you have discovered a new player, you can visit his or her city by clicking on it and then give some neighborly help! In addition, trading with this player will be a lot cheaper since the trader fee on his or her offers will be removed. Maybe this player produces and trades exactly those Goods you need – just visit the city and check it out!